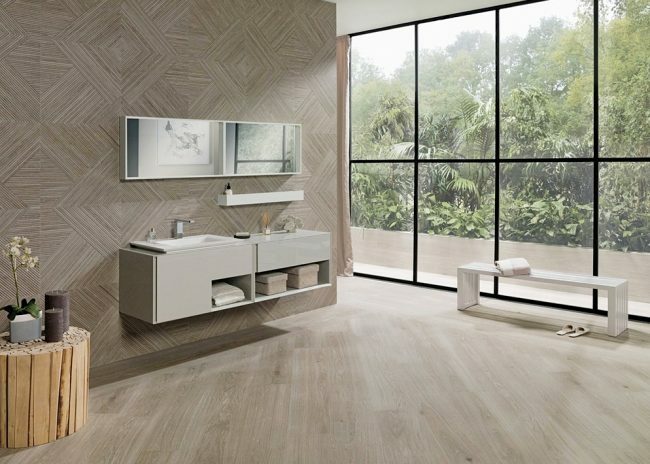 The Starwood collection of wood effect tiles from Porcelanosa will immerse you in nature. 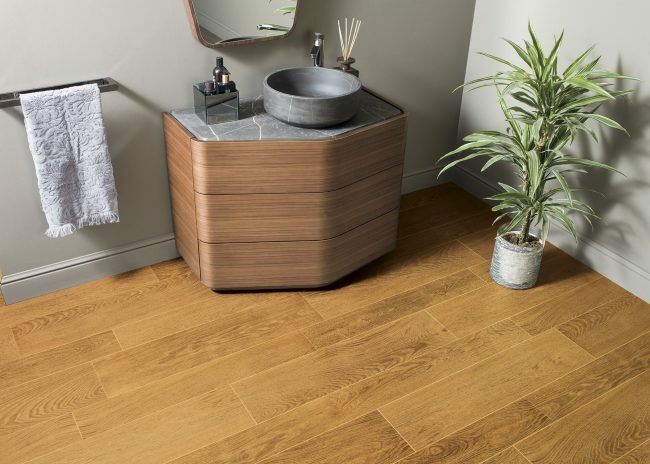 A collection of five wood ranges, offering a total of 20 different shades that all exude the look of natural woods in tile form. They can be used on both walls and floors in any space, inside and outside. 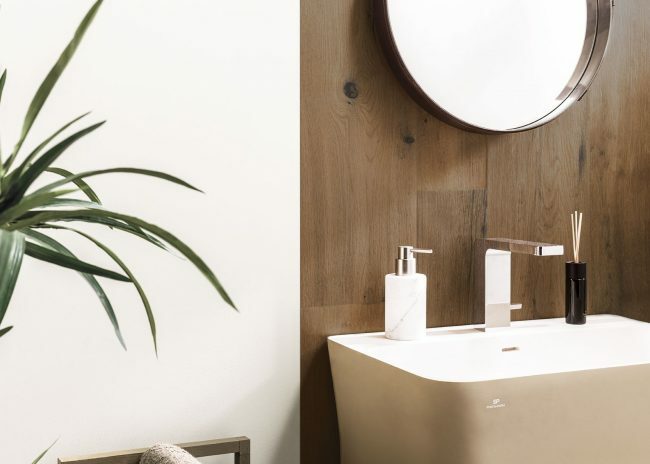 And in spaces where wood has not dared to go before, creating authentic wood surfaces durable to water in bathroom design. 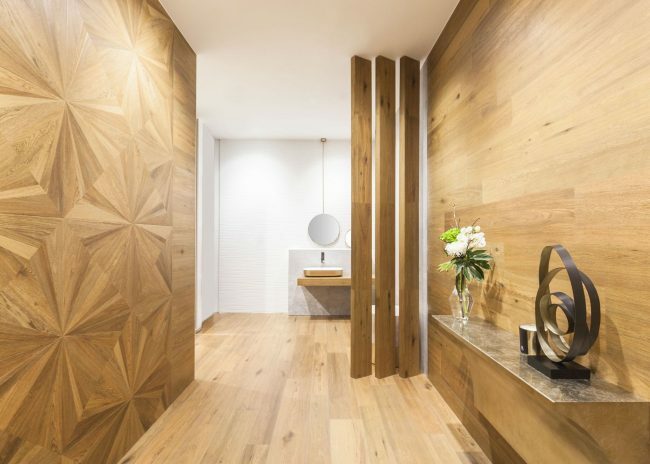 This product is quite unlike any other wood covering that you may have seen. 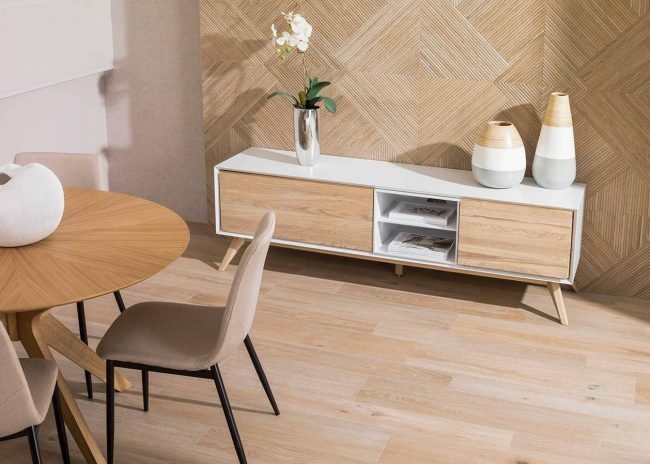 The manufacturing process imitates carefully handcrafted results, reproducing all the details of the wood’s knots with absolute precision to ensure all the realism of nature is expressed in each finish through the different styles of wood featured in the collection. 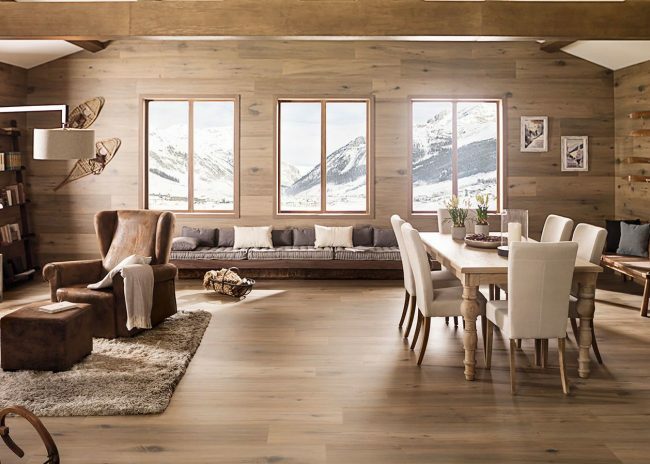 The visual appeal of top-quality woods has been combined with the technical properties of other materials, guaranteeing a long-lasting life and easy day-to-day care. 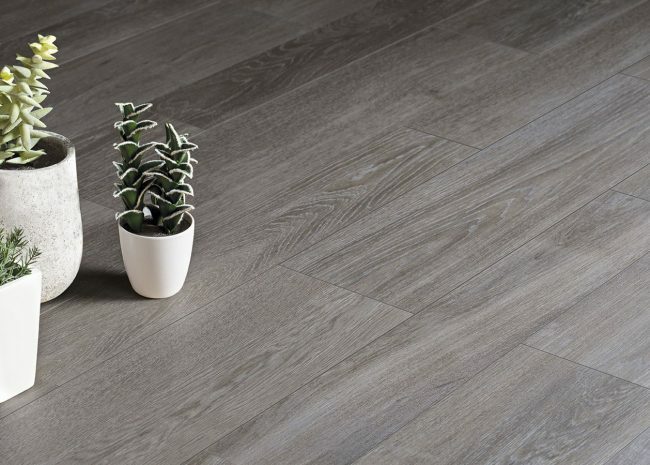 The wall tiles for indoor use and porcelain floor tiles for indoors and outdoors, offer shade variation and a matt appearance aimed at delivering a natural-looking non-glossy surface. 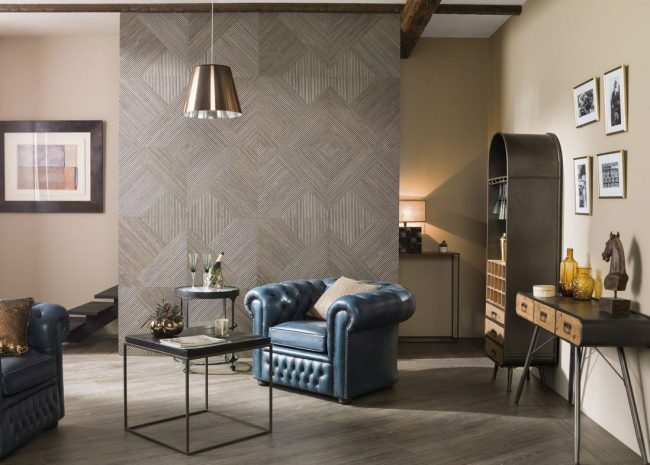 Our Woking showroom has a dedicated wood tile display area where you view the full 2018 Starwood collection first-hand. 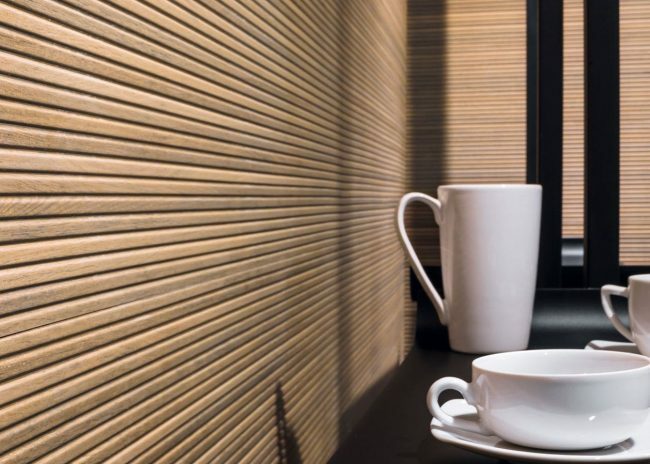 Each range and featured shade comes in these versatile sizes to suit your project and enable creativity. Be inspired by Starwood. 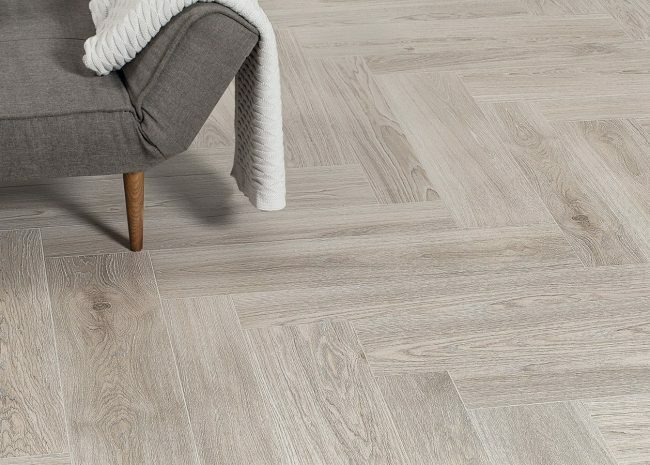 Here are just some of the statement styles you could create using this innovative range of wood effect tiles. 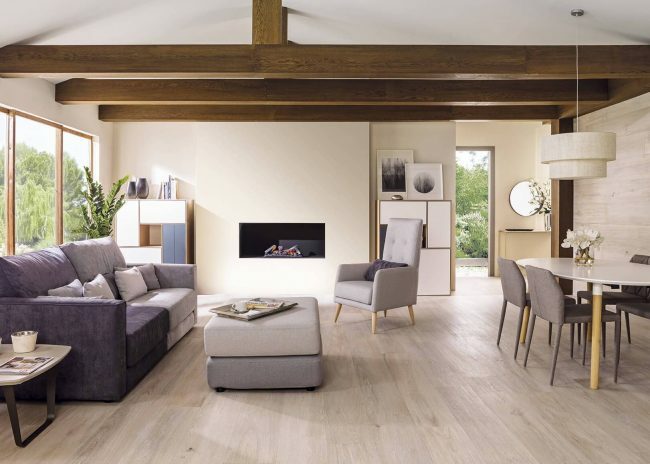 Visit our Woking Showroom to view our new Starwood display area. 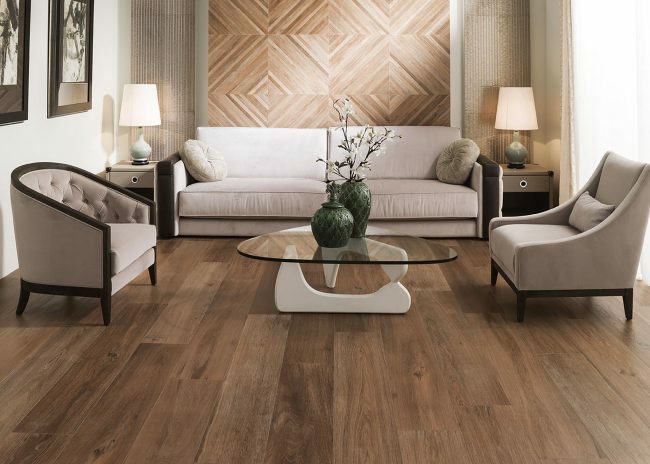 And learn more about the benefits of wood effect tiles here.